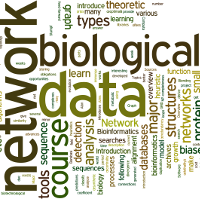 Bioinformatics is an interdisciplinary field within biology which develops and improves on methods for storing, retrieving, organizing and analyzing biological data. Bioinformatic tools and public biological databases are essential in modern biosciences. This course provides an overview of major biological databases and introduces basic methods for the analysis of DNA and protein sequences, and of protein structures. This course was developed in collaboration with Genevia Technologies Ltd.
You will learn how to find and retrieve DNA and protein sequences from primary databases, both based on keywords and similarity to other sequences, and how to perform various analyses and comparisons. After this course you will be able to construct multiple sequence alignments, discover protein motifs in your sequences and run various other analyses using publicly available, web-based tools. Suggested background knowledge: Some basic biochemistry and molecular biology to understand what amino acid and nucleotide sequences represent; and basic use of Internet and web browsers.